An official and his propaganda team in the Chinese province of Sichuan attempted to replicate a scene that inadvertently made American officials, like Gary Locke, famous in China: performing daily chores by themselves. But when the photographs of Li Xiaopeng, the governor of Sichuan Province, were put online on the morning of Feb. 12, the reaction was not nearly as welcoming. Isn’t this photographer Yang the propaganda director? The unassuming Li can be seen wheeling his cart past a pile of greens in one photo, and then glancing gingerly into the camera in another. The image of a humble and hardworking official is also important in the context of a harsh fight against corruption in China. But Chinese Internet users were quick to accuse Li of a ruse, alleging that the individual who made the post was Yang Jianle, the director of the Cyberspace Administration under the provincial Propaganda Department. This was based on a post by Liu Jianfeng, a former reporter with China Business Journal who has 90,000 followers on Sina Weibo. “Isn’t this photographer Yang the propaganda director?” he asked, which seemed to validate what everyone had suspected. 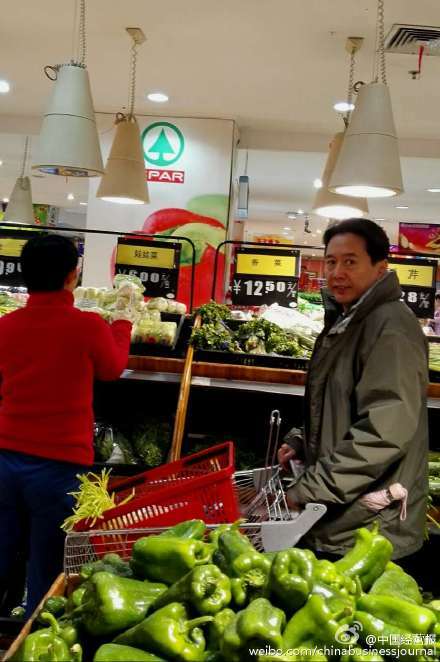 State-run China Business Journal posted on its Sina Weibo, China’s Twitter-like service, pictures of Li Xiaopeng, the provincial governor of Sichuan Province and his wife buying vegetables at a supermarket in the morning on Feb. 12. This is without a doubt a performance! The intent appeared to be to follow in the footsteps of Gary Locke, the then-U.S. ambassador to China, who caused a sensation in China in 2011 when he was found to be waiting in line to purchase his own coffee at an airport Starbucks. He was carrying his own backpack, too. Such scenes formed a stark contrast to the image of officials that Chinese are used to, where underlings carry their umbrellas for them, sometimes stop traffic, and cater to their whims. 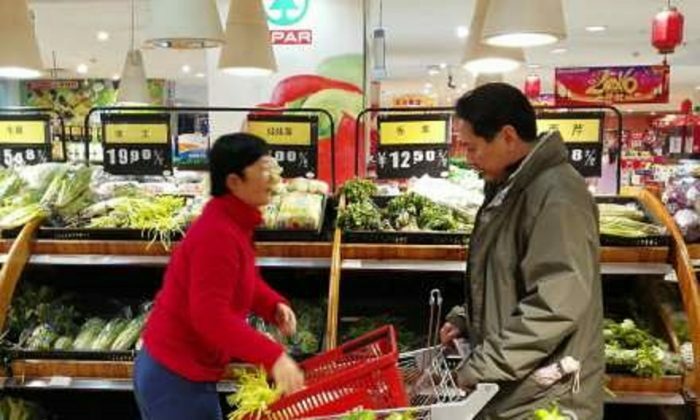 Pictures of Li Xiaopeng and his wife buying vegetables on Feb. 12. (China Business Journal). Similarly in 2015, a photo of newly elected Taipei Mayor Ko Wen-je, standing alone in a Taipei Metro car, also captured the imagination of China’s internet users. They are used to their officials being chauffeured around with bodyguards. “I’m all laughs when I learn that propaganda chief Yang Jiele has to tag along when you go out to buy vegetables,” said a netizen from Shanghai. In China, Party officials obtain food produced from special farms that are supposed to have high-quality controls to ensure their health and well-being, a system that has been the target of ridicule and anger among Chinese. Outgoing U.S. Ambassador to China, Gary Locke, stressed human rights in a speech marking his exit from the position. In 2015, Chinese Communist Party leader Xi Jinping's very public efforts to root out corruption in the Party have continued relentlessly. They “sincerely” put the interests of the people in heart.